Argonne National Laboratory modeling lowers land use change GHG emissions to 7.6 7.6 gCO2e/MJ, down from 9.0 in last year's modeling and four-times lower than the 28 gCO2e/MJ value used by the U.S. EPA. The U.S. EPA has posted a notice to its website announcing it has taken action to improve and streamline the pathway petition process under the renewable fuels standard (RFS). The U.S. Energy Information Administration has released the October issue of its Short-Term Energy Outlook, which includes slightly reduced ethanol production forecasts for 2014 and 2015. USDA October supply/demand report projects corn yield at record 172.4 bushels per acre and record corn production at 14.47 billion bushels, coming in slightly lower than the trade's average prediction. 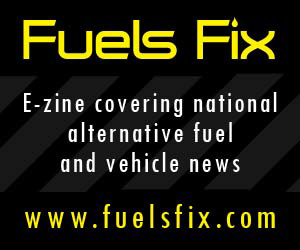 E85 retailers in the St. Louis area may be purposely price gouging Missouri drivers, according to an in-depth case study released today by the Renewable Fuels Association. Rick Tolman will wrap up his 14 years at NCGA on Oct. 17. Tolman told Ethanol Producer Magazine the thing that sticks out most in his mind is the remarkable change in the ag economy, thanks to the growth of the ethanol industry. Valero Energy Corp.'s ethanol plant in Bloomingburg, Ohio, experienced a fire Oct. 6. According to Bill Day, vice president of communications at Valero, no injuries were reported and there was no reported damage to plant production equipment. Growth Energy and the Renewable Fuels Association outlined multiple issues in their comments on the U.S. Department of Transportation Pipeline and Hazardous Materials Safety Administration's proposed rail transportation safety rules. The U.S. EPA has released updated data gathered through its Greenhouse Gas Reporting Program, which details greenhouse gas (GHG) pollution trends and emissions broken down by several category types. The program includes data from ethanol plants. The most recent California legislative session concluded with policy developments spurring the launch of the Low Carbon Fuels Coalition. The LCFC advocates for policies that facilitate the rapid deployment of low carbon fuels. The U.S. Department of Energy's Advanced Research Projects Agency-Energy has opened a $30 million funding opportunity that aims to increase energy crop yield through automated, predictive and systems-level approaches to biofuel crop breeding. Ethanol production for the corn-marketing year just ended (September through August) reached a record 14.15 billion gallons, using a record 5.125 billion bushels of corn, according to a data analysis by University of Illinois economist Darrel Good. A new report highlights that European renewable ethanol is the most cost-effective way to decarbonize the EU transport sector. It found that the CO2 abatement cost of ethanol is negative when the energy efficiency gains of E10 are accounted for. In Canada, the Ontario-based distillation company Drystill recently completed a series of tests on their new pilot plant, which demonstrates its distillation technology and has applications in the ethanol and other industries. Researchers have identified a new way to boost yeast tolerance to ethanol by simply altering the composition of the medium in which the yeast are grown. The findings could have a significant impact on industrial biofuel production. The U.S. Department of Energy's Joint BioEnergy Institute has developed MaxBin, an automated software program for binning (sorting) the genomes of individual microbial species from metagenomic sequences. Biochemtex and Beta Renewables recently announced they have signed a definitive agreement with Energochemica SE for the construction of a second generation ethanol plant and the annexed energy block for the generation of power and steam. Gevo Inc. recently announced that it is selling renewable isobutanol to Gulf Racing Fuels for their new line of marine and off-road fuels. The new biofuels will meet Gulf Racing Fuels' requirement for an oxygenated off-road fuel. DuPont and Procter & Gamble have announced a collaboration to use cellulosic ethanol in North American Tide laundry detergent. Tide Cold Water will be the first brand in the world to blend cellulosic ethanol in a scalable and commercial way.